The last couple of months I've been doing a lot of thinking on the artwork I create, what my purpose is behind it and what I'm trying to say if anything with my paintings. 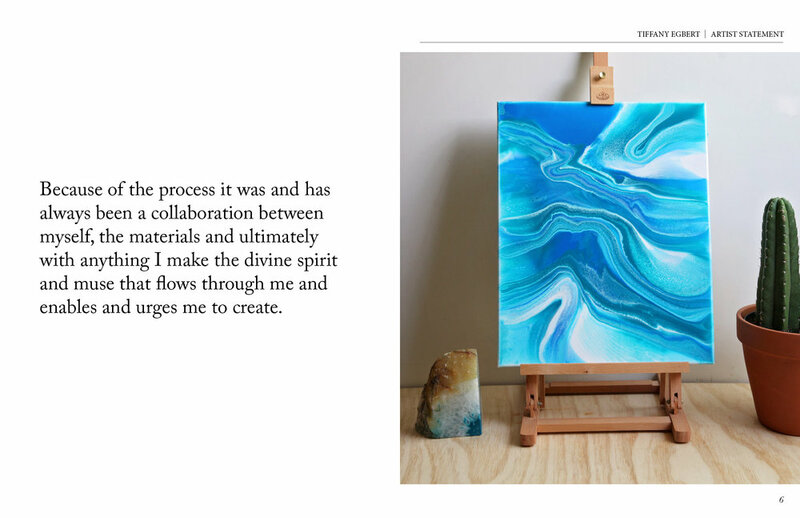 So I started writing out my artist statement which kind of turned into something different than I expected but it's super meaningful and kind of sums up where I am in my life and what my work is teaching me. Desert Loom on HGTV with Landon Mondragon + Local Trade! Om so some seriously exciting news....we're going to be on HGTV!!! 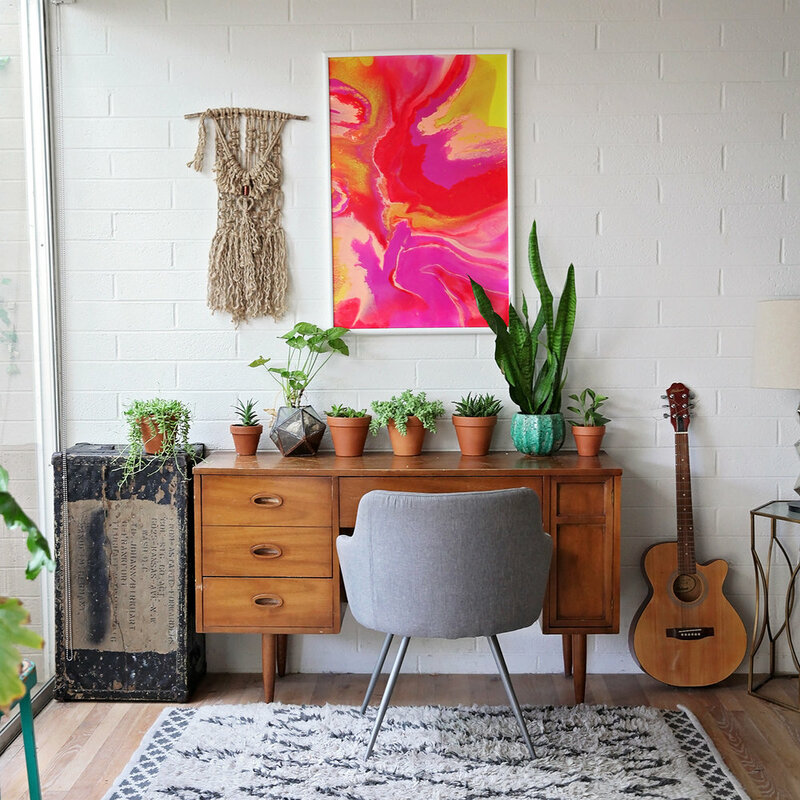 And by we I mean some of my paintings + macrame! I've been keeping this a secret for awhile and honestly wasn't sure if it was going to happen but it's official the pilot episode called Cutting Edge Reno featuring renovation design by Landon Mondragon and staging by Local Trade AZ with lots of local goodies will be airing Saturday March 24 at 6:30 PM on the DIY Network!! PS the house pictured is another one by Landon. The photos of the actual HGTV house are top secret until the episode airs! 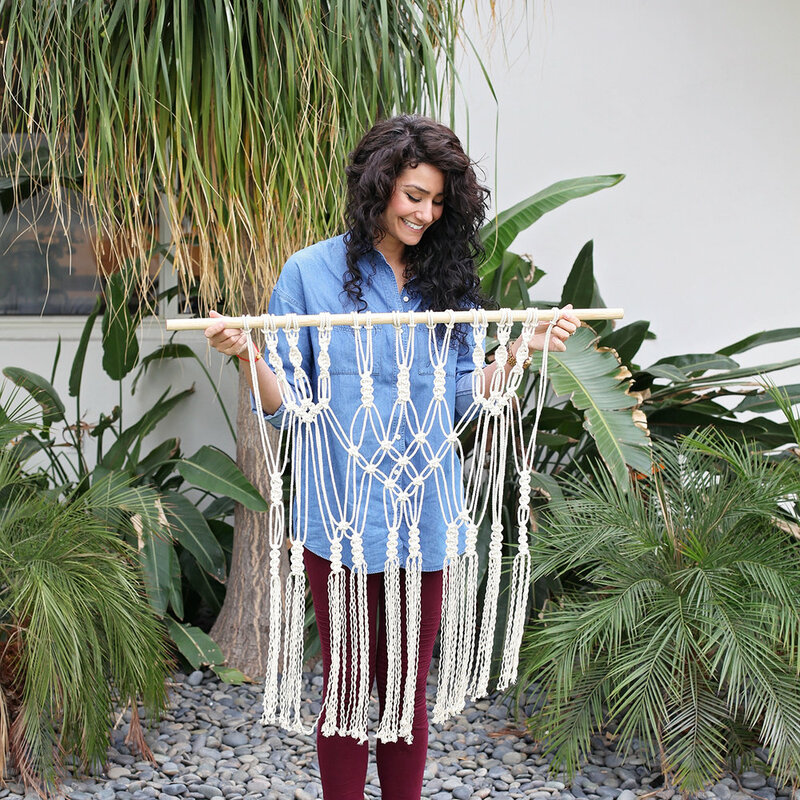 Friends, I'm so excited to share another macrame plant hanger workshop Thursday February 22nd at Muse Apparel in Phoenix! I will be teaching the basics of macrame and you will be taking home your very own macrame plant hanger + potted plant! You can sign up over in the workshops section of the Desert Loom site. Can't wait!! I've always had this story for whatever reason that I'm not good at making things with my hands. Just stick to the digital stuff, you don't have the coordination to make real tangible artwork! Your hands are too shaky. You don't have the talent! Your handwriting is just awful. These are the stories that were in my head. Almost two years ago I had this strong desire to start making things with my hands. I decided to drop this story because I really needed a creative outlet outside of my design job that wasn't digital. 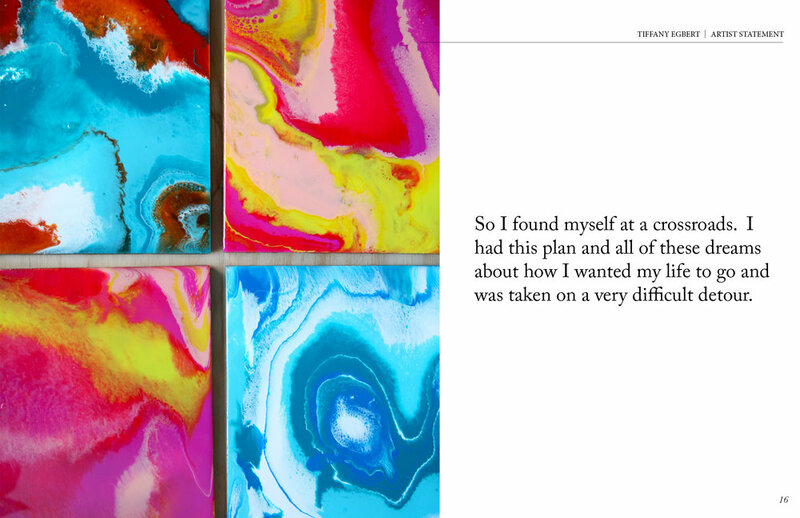 Part of it was that I needed something completely different that was for me and not a client and the other part of it was that I was getting really bad migraines and any personal creative work that required extra time on a computer screen needed to be seriously reduced. So I found a weaving class and fell in love. And then a macrame class and got super obsessed. Finally this year I decided I wanted to try this painting thing and I kind of feel like I've found my thing. 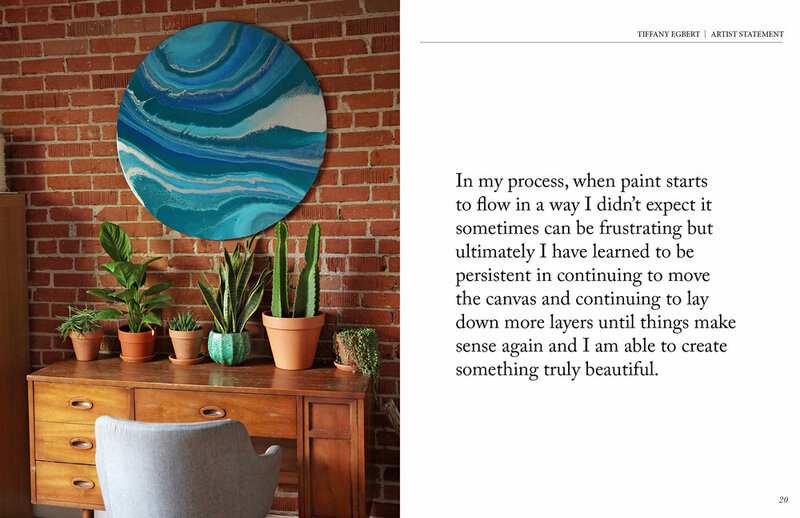 Well okay I've had a lot of things that were my thing (photography, design, macrame, vintage, dance parties, duct tape wallets circa 2002 haha) but painting is a thing I feel like I could do something big with. There is so much to learn and create and experiment with. It feels kind of limitless and full of possibilities more than anything I've ever done. So I'm extremely excited to continue to pursue painting and making things and really wanted to encourage anyone else who has a thing that they are dying to do but have some sort of story telling them they can't do it to just do it! Just try the thing. Pursue the thing hard if you have any inkling it's meant to be your thing. Take on a 100 day project and do the thing for 100 days! Or maybe don't go that gung ho and just set a smaller goal for yourself. Maybe it's a class you can take to get you started or just a small personal project you want to create. Whatever it is you owe it to yourself to at least try. You seriously have no idea the abilities and talents you have within yourself until you try! I had an absolute blast last weekend teaching two different macrame workshops at the AZ Local Trade holiday marketplace! Everyone created such beautiful pieces and it was so relaxing to slow down for a minute during this holiday season and relax with macrame.